When Dexter was born and I realized how many bottles and pump parts I was scrubbing everyday I begged Jason for a dishwasher. Since we rent, we bought a portable dishwasher for $600. It was BY FAR the best money I have ever spent in my entire life. That was 6 years ago and my dishwasher works far better than any other I have ever used. 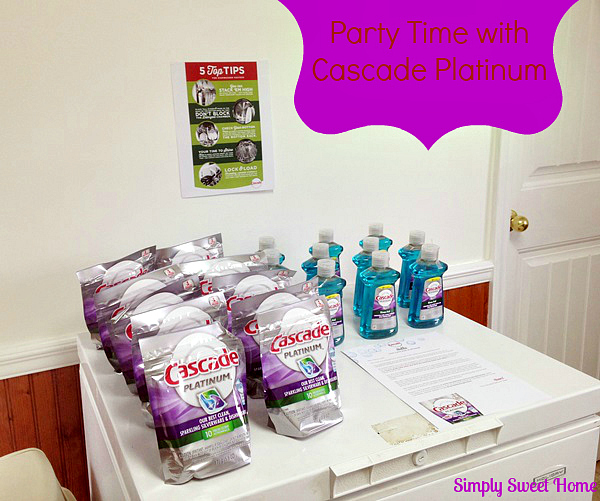 When I got accepted into the Cascade Party through Double Duty Divas I was elated. I knew I had to have my party at my Mother in Law's house because her dishwasher is horrendous. My MIL, Mo, lives exactly 1.5 miles away from us so we are lucky enough to see her often. She is a fabulous cook so we enjoy inviting ourselves over for dinner any chance we get. The problem with that is that her dishwasher does everything except wash dishes. She literally scrubs her dishes before she loads them in (and her dishwasher isn't that old). 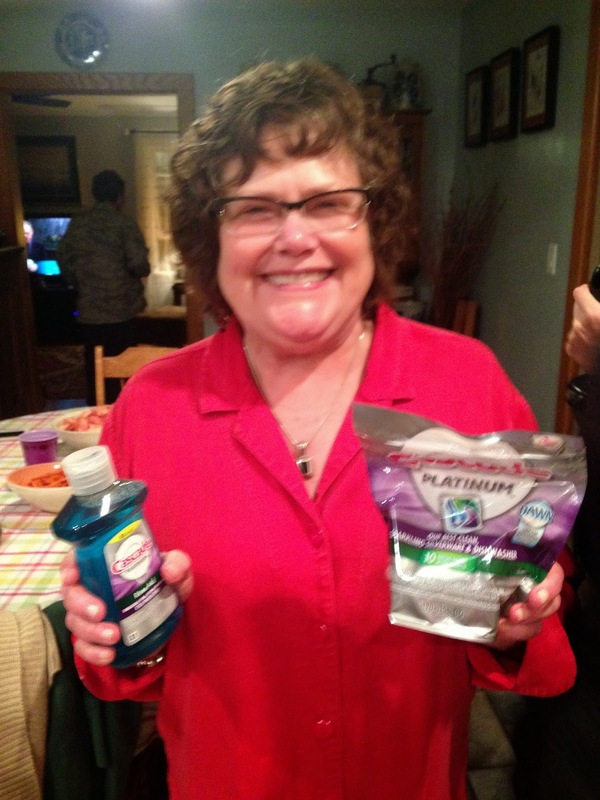 When I told her that I was going to bring a bunch of friends and food over for a party she was excited to help me bake up some brownies and other goodies and show our crowd how well the new Cascade Platinum works. Head to the Cascade website to leave a short review of Cascade Platinum including #CascadeShiningReviews and ONE lucky reviewer (who uses the hashtag) will WIN a Kitchen Aid Dishwasher! Giveaway! 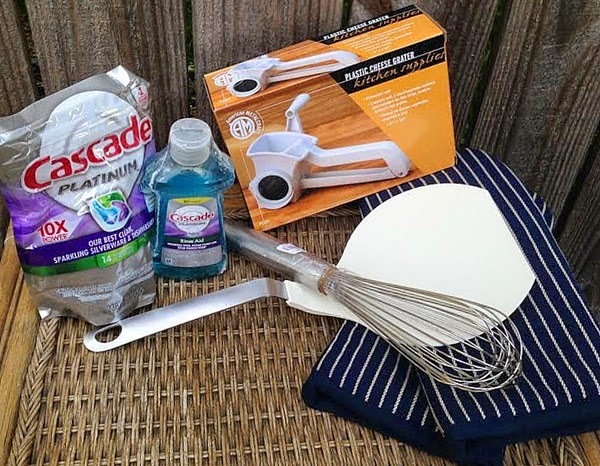 One Super Savvy Mommy reader will win a Cascade Prize Pack so they can see just how amazing new Cascade Platinum works on their hard-to-clean dishes! The prize will consist of the items seen above! It depends sometimes I clean before and sometimes I pray for a miracle. I always clean 'em before I load 'em. I swear they never get clean if I don't. But maybe it's all in my head? Ha ha! I usually rinse them and pre-scrub some of the dirtier pots and pans. I would love not to scrub!!! It has been so bad that I only use the dishwasher to dry my dishes after I hand wash them!